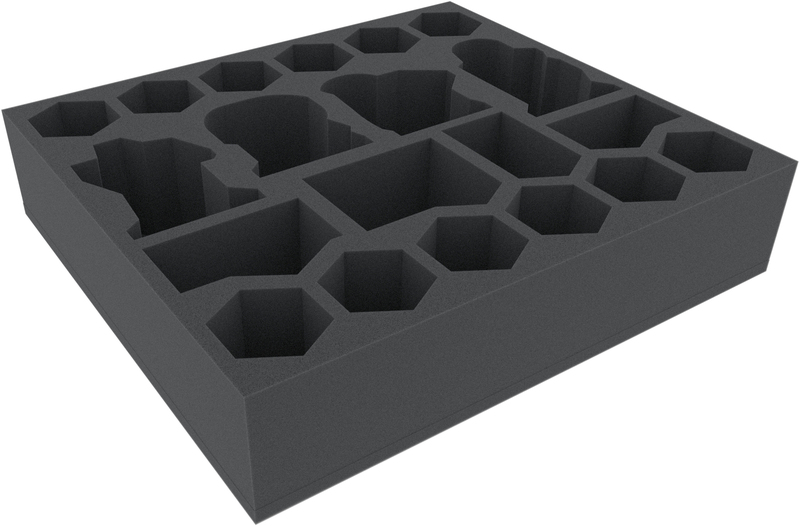 This foam tray has 20 compartments. Four of them are reserved for the large Heavy Hitters miniatures. 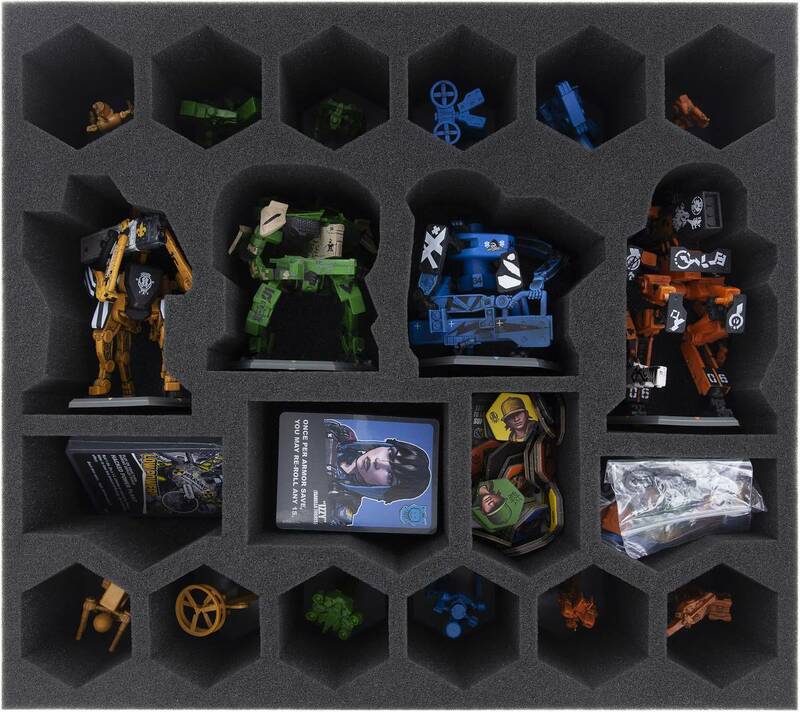 Additional twelve compartments will hold the Support Units of the four factions. 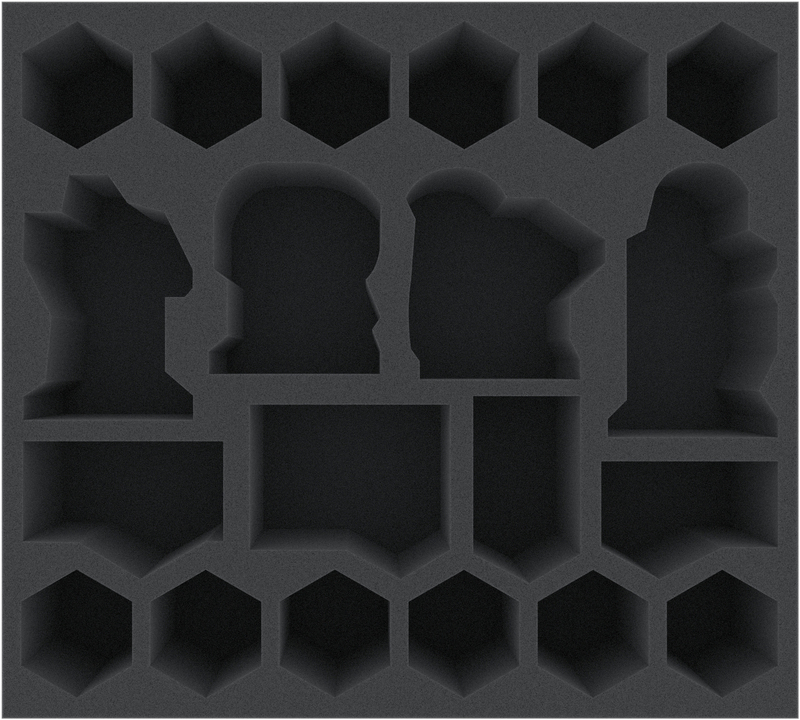 Moreover, four further, large compartments provide space for accessories like playing cards, dice and tokens. The tray has the following dimensions: 398 mm x 358 mm x 85 mm. It thus fits exactly into the Original board game box.